Thank you for the outpouring of support that you've given Carolina Beach during September’s hurricane. 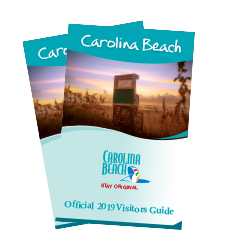 Carolina Beach is open for business and ready to welcome back visitors. Your fall favorite events and activities, like taking in the beautiful views from the boardwalk as seen in this post-storm photo have resumed. Find lodging updates here and attraction updates here as of October 11. Please note that we are no longer updating this information as most of our lodging properties are now open. Please be sure to contact accommodations and attractions directly prior to your visit if you have questions regarding availability. Click here to view our calendar of upcoming events. Please be sure to contact the event organizer directly prior to your visit if you have questions regarding October events. Pleasure Island Disaster Relief Fund – The PIDRF is helping with immediate needs following Hurricane Florence including donations of tarps, water, nonperishable items, gasoline, generators, dry pet food, and all baby items.